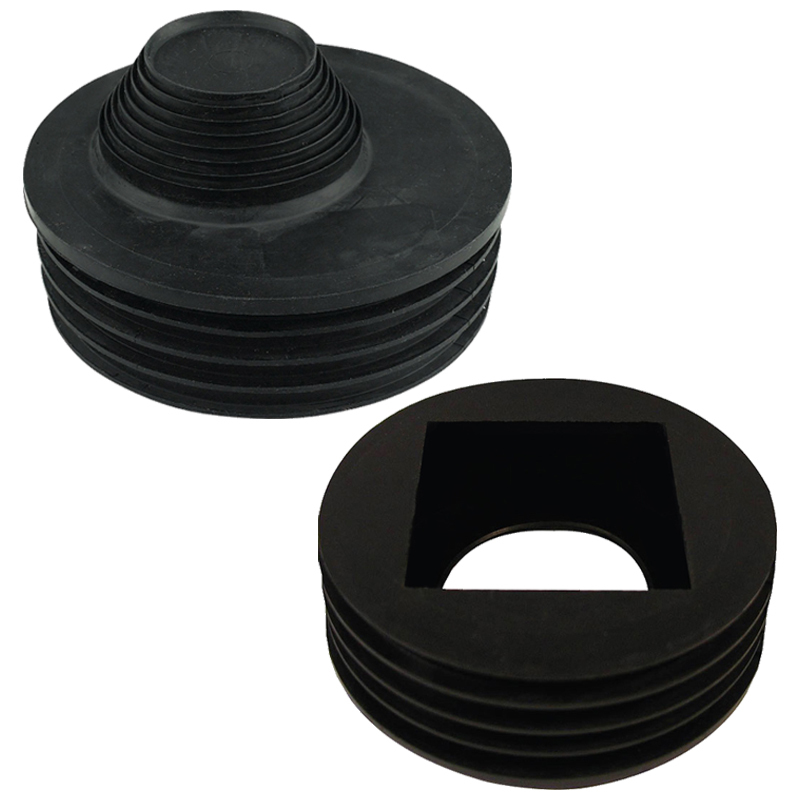 VIPSeal® Universal Adaptors are manufactured from high quality EPDM and are ideal for connecting rainwater or waste pipes to 110mm pipes or gully traps. The VIPSeal® Universal Rainwater Adaptor allows for a direct connection between 68mm round and 65mm square downpipes to 110mm drainage pipes. The design is perfect to allow connection directly to surface water drains or gully traps from downpipes. The VIPSeal® Universal Waste Adaptor allows the connection of 32mm-55mm pipes to 110mm pipes. One end of the adaptor can be easily cut to accommodate the diameter of a pipe from 32mm to 55mm. This allows external waste pipes to be connected to a surface water drain or a gully trap to complete an underground drainage system. It can also be used as a stopper to block debris from entering a drainage system. VIPSeal® is available through our network of national distributors. For urgent requirements, VIPSeal® can also dispatch from our factory direct to site anywhere in the UK, using an overnight carrier service with a choice of time slots to suit your project needs.